If you have been in any kind of emergency, you know it is far better to be stay calm and know who to call and what to do instead of panicking and wasting critical minutes that could save your pet's life. For many types of poisoning, it is advised to induce vomiting, soon after ingestion before the chemical can do damage. 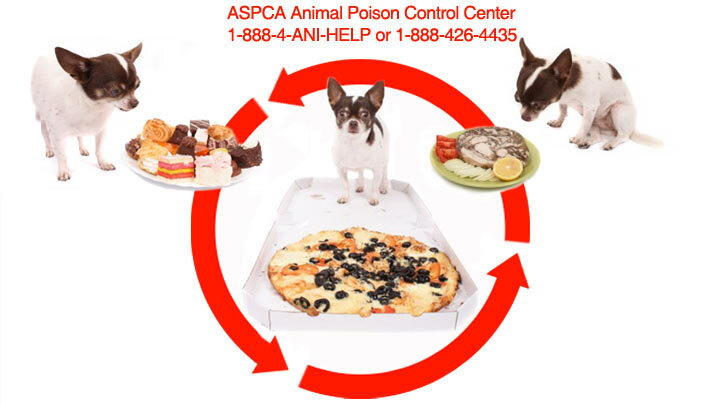 These include ingestion of arsenic (in rat and mouse poisons), chocolate, insecticides, lead, matches, medications, plants, shampoo, shoe polish, slug and snail bait, strychnine and weed killers. Before you do so, first call a vet, physician or poison emergency hotline staff member to make sure it's the right course of action. It is also critical to properly identify the ingested substance. To induce vomiting in pets, give them household hydrogen peroxide 3% USP by mouth, using a syringe (bulb or 10cc with no needle). Do not try to pour it down their throat. Instead, pull the lips away from the side of the mouth to make a pocket, in which you will deposit the liquid. It is suggested to use 1 teaspoon per 5 pounds of the animal's weight, to a maximum of 3 to 4 tablespoons. Before dosing, first give them a little bread or other soft food so there is something to bring up along with the stomach contents. If they have not vomited after 15 minutes, repeat the dose of hydrogen peroxide one more time. After vomiting, some folks recommend giving the animal a teaspoon of Epson salts mixed in some water to help empty the intestine. Activated charcoal is also used to induce vomiting in pets. It has the ability to absorb and deactivate many toxins, preventing the poisons from reaching the blood stream. Activated charcoal tablets also help when you don't have access to a clean water supply. Mix a tablet of activated charcoal in 2 teaspoons of water. Give 1 teaspoon per 2 pounds body weight and follow with a pint of water. Do not induce vomiting if the animal is lethargic, unconscious, convulsing, having a seizure or is in shock. Do not induce vomiting if the animal ingested an acidic or alkaline product such as drain cleaner, household cleansers and paint thinner. Caustic and corrosive substances can burn the throat and stomach on the way back up, compounding the injury. Also, do not induce vomiting for ingestion of tranquilizers, bones, sharp objects or petroleum products such as gasoline or lighter fluid. Try to give the animal milk to dilute the toxin in the stomach. Remember, for any poisoning, get to the vet as soon as possible. Temporary first aid measures alone are not enough. Other signs that you should take your pet to the veterinarian, day or night. Vomiting or diarrhea - anything more than two or three times within an hour or so. Thermal stress - from being either too cold or too hot. *The recommendations seen here is for infomational purposes and HealthyPets is not responsible for outcome of these tips.. It is always the pet owner's responsibility to contact their veterininan in an emergency.